It’s no secret that the Japanese diet is one of the most healthy and effective ways to lose weight. In fact, walk around in any Japanese city and you will have difficulties finding anybody who is overweight.But what do Japanese eat to stay healthy and slim, while at the same time having one of the tastiest cuisine in the entire world? 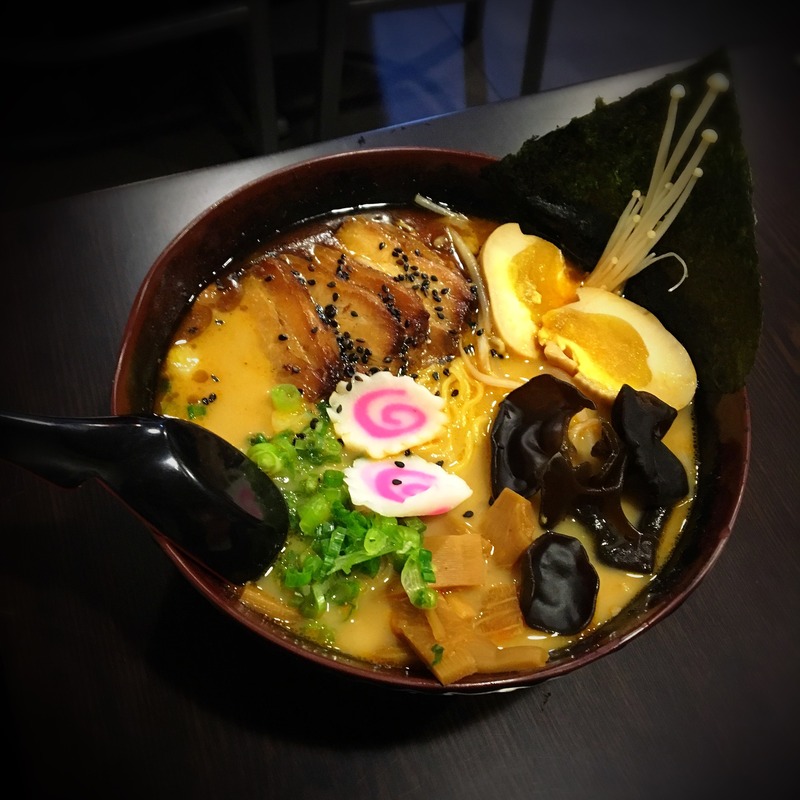 In this diet guide I’m going to show you everything you need to know about the Japanese diet and how you can lose weight by adapting Japanese wisdom and food into your life. Let’s dive right into it. Japanese people have the lowest obesity rate in the world – 3%! In the USA? 32%. Think about that for a minute. But not only that, Japanese people also have the longest life expectancy. Women live up to 86 and men 79 years in average. Now, you might think that is all because of the difference in genes, but my experience and different studies show that Japanese people who have a western diet, put on weight very fast. What does that mean for you, if you want to lose fat? It basically means that you have to change what you have been eating all your life. 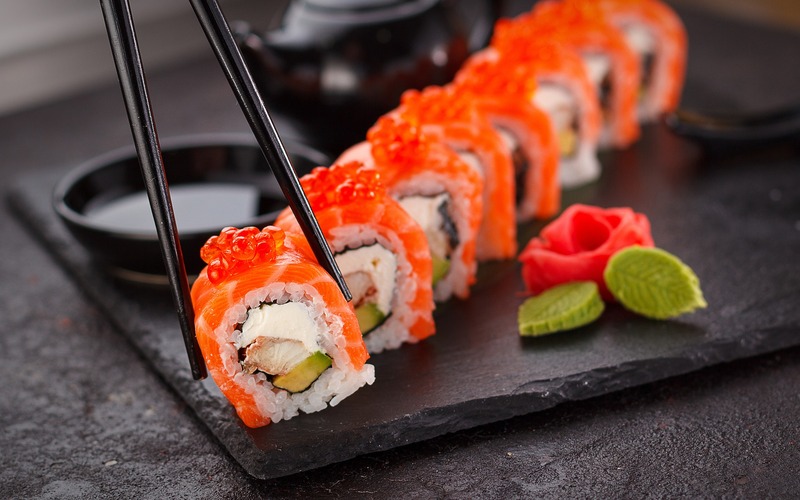 It doesn’t mean that you have to adopt 100% of the Japanese cuisine! But you will have to get rid of some bad food habits and some western food that is just not good for you and your body. Always remember that your body is a temples and you want to make sure that you put only the best and healthiest food in it. This might sound corny, but its true. This way, you can lose weight, look fabulous and live longer. Lets have a look at the Japanese food that you should have in you daily diet, the food you should definitely not eat and a couple of Japanese diet hacks that will make your weight loss process so much easier. You can take the following food list as a basic shopping list for your Japanese diet. But please keep in mind that you will need more ingredients for the recipes that i provide in the meal plan below. The last one might not help you to lose weight, but Japanese food looks beautiful and it doesn’t hurt to have some Instagram worthy food on the table. I talked about the food you should eat, the food you shouldn’t eat and some Japanese diet hacks. So by now, you should know everything about this diet and how it can benefit you. But one thing is still missing. You might ask yourself, which recipes can be easily replicated without cooking all day? Therefore, I built a Japanese diet plan, which will guide you through the next 7 days. I tried to represent a typical Japanese diet as much as possible. But I also kept in mind that you might not easily get all the ingredients necessary. You can get to all the recipes by clicking on the name of each dish. Omurice (Omelette Rice) オムライス Try this easy to make omelette for your breakfast. There isn’t a better start into your new diet than this. Mabo Don (Mabo Tofu Japanese Style) Originally a Chinese dish, but this Japanese version of it is one of the best ways to east tofu. Shio Ramen This dish is nothing like the cup ramen from your Asian supermarket around the corner. Not only is it super tasty, but it is also very beautiful. Frying Pan Granola might not sound like the most Japanese food, but it is a fantastic choice for everybody who doesn’t have much time in the morning. Hakusai and tuna fish nimono is a quick and easy dish for everybody who doesn’t has much time for cooking and preparing meals. Okinawan Stir Fry With Bitter Gourd comes from the Okinawa diet and might be a little bit bitter for some, but once you get the hang of it you will love. Nori no Tsukudani is basically rice and Miso soup and the beauty definitely lies in the simplicity of this dish. Kitsune Udon is another simple but mind-blowing Japanese food that you sent want to miss out on and it should be part of your Japanese diet plan. Okonomiyaki might be one of the most famous Japanese dishes. And there is a good reason for that: It is so delicious that you will want to have it every day from now on. Japanese rice balls are easy to make, super delicious and they look amazing. Take them to work or to school, if you cannot have them in the morning and you will be golden. Sanzoku Yaki is a tasty way of eating Japanese fired chicken. Try this one for lunch and you will walk around happy for the rest of the day. Tofu steak is something that you will enjoy after a hard day at work or in school. Its just such a treat for you and your taste buds. This cute breakfast made with HARADA Premium Matcha Latte is the most beautiful breakfast i have ever seen. It is also super duper delicious. 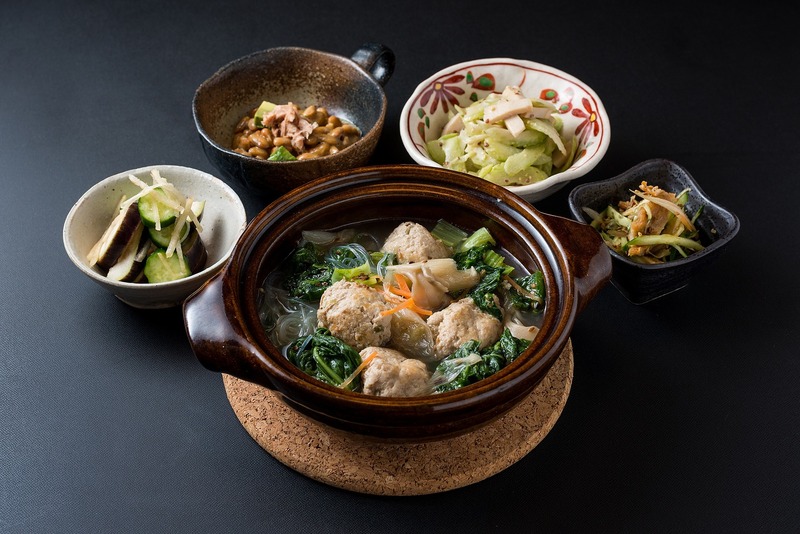 This Japanese hot pot recipe is perfect for cold winter days and a perfect lunch, if you don’t want to feel to full for the second half of the day. Ginger Pork Salad is a light dinner perfectly suited for a Japanese diet. This one might become your new favorite salad. Dorayaki is a Japanese pancake with a red bean filling. Sounds interesting? It is! Try it out for your next breakfast and be surprised. Japanese dumplings are a wonderful choice for your lunch and they are super delicious. Just like everything in our Japanese diet plan. Shirataki and Wakame with garlic ponzu is not only the perfect food for dieters, but also detoxifying. Try it out as soon as possible. Kinako Banana Porridge is a quick to make breakfast that doesn’t need any special Japanese ingredients, which should make it easier for you. Shabu Shabu Salad is a quick and easy to make Japanese salad that tastes super good and comes with a lot of health benefits. Enjoy! Sweet Miso Eggplant Don is the perfect dinner to finish up your day with a bowl of happiness and healthy ingredients. Thats it! A full Japanese diet plan! One entire week of delicious and healthy Japanese food ideas for you. Get cooking and let us know which recipe you like the most. Now that you know what the Japanese Diet is, I would like to address the Okinawa diet shortly. Which diet, you might ask? Don’t worry, the Okinawa diet is essentially just a special form of the Japanese diet due to the food differences in and around Okinawa, Japan. But the Okinawa diet is supposedly the best form of the Japanese diet. The most important thing you have to know about the Okinawa diet is that this diet contains less rice than the traditional Japanese diet. Instead of rice, you will have sweet potatoes from time to time. This is a good chance to change up your meals. Meaning that you don’t have to eat rice for every meal. Just make one third of your meals rice based and one third sweet potato based. This way, your food will never become boring. You should also know that one third of the Okinawa diet consists of vegetables. Keep that in mind when you start cooking. By now you should know pretty much everything about the Japanese diet and you should be fired up to try it for yourself. Please let me know in the comment section below, if you have any difficulties following the diet or if i can help you with anything related to it. In case you have difficulties getting the ingredients for the Japanese diet, or if you prefer Korean food instead of Japanese food, i suggest you check out our Korean Diet eBook. It is full of wisdom, recipes and a diet plan that should make you fit in no time.